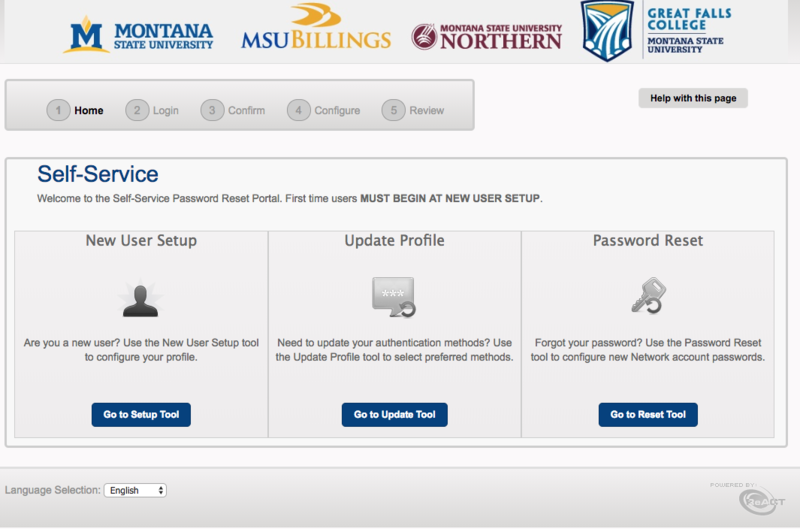 MSUB's password reset tool, sometimes referred to as My Profile, has been replaced with a new Self Service Password Reset Portal. 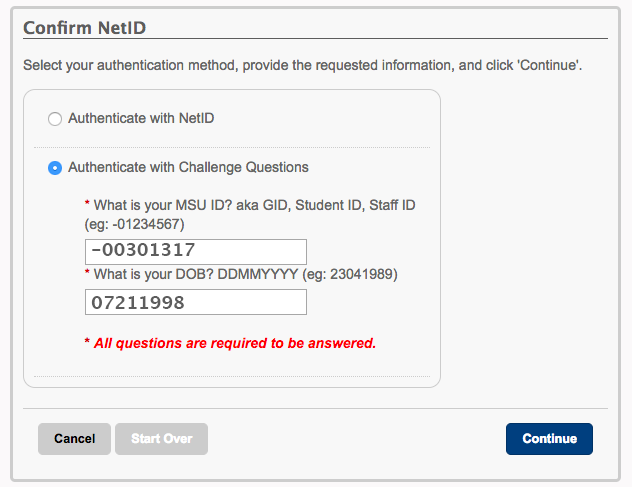 This is where MSUB faculty, staff and students will set/change their NetID password. All MSUB faculty, staff, and students must set up a new user profile before they will be able to use the tool to change their NetID password. 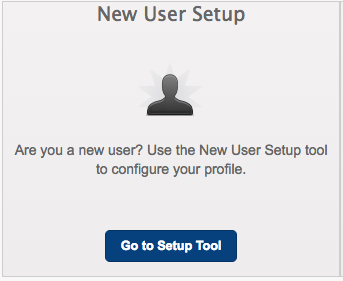 It doesn't matter if you've been at MSUB for years or are new to campus, a new user profile must be set up. 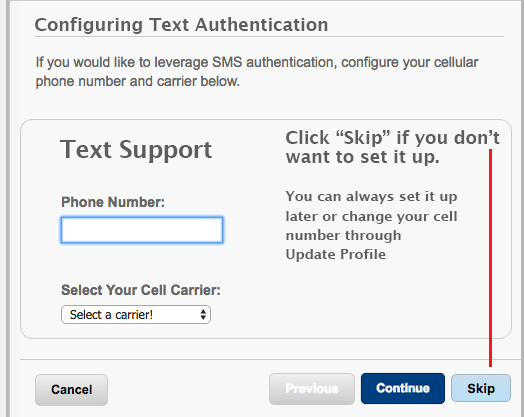 New user setup requires configuration of challenge questions and also the option to set up an alternative email and/or text messaging for future resets. Setting up a new profile requires you to enter your NetID and then provide your MSUB ID (-12345678) and Date of Birth* (MMDDYYYY or 07211996). * Why MSUB ID and Date of Birth? These 2 items are the only identifiable information associated with individual NetIDs that MSUB has for all of its users. They are only requested/required during the first-time new user setup process. To begin, click the Go to Password Portal button below. Click the Go to Setup Tool button in New User Setup tile (see fig 2). 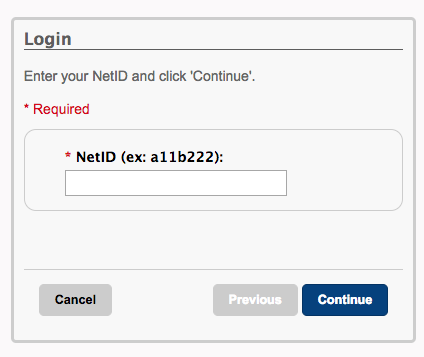 Enter your NetID and click Continue (see fig 3). 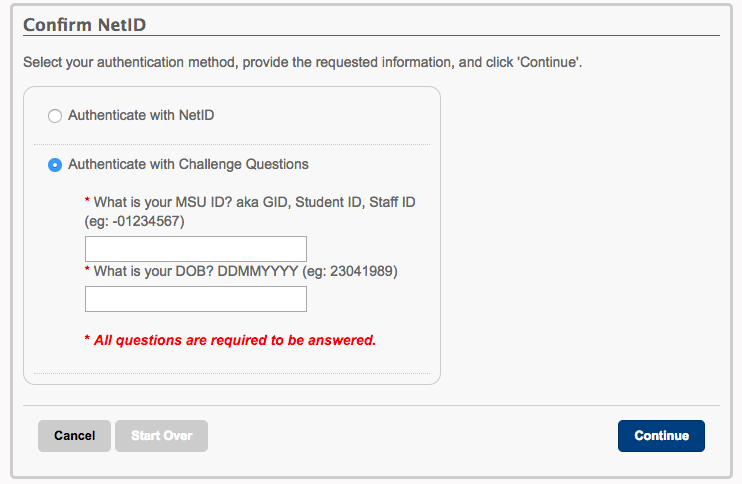 Enter your MSUB ID and Date of Birth then click Continue (see fig 4). Select and configure verification method(s). 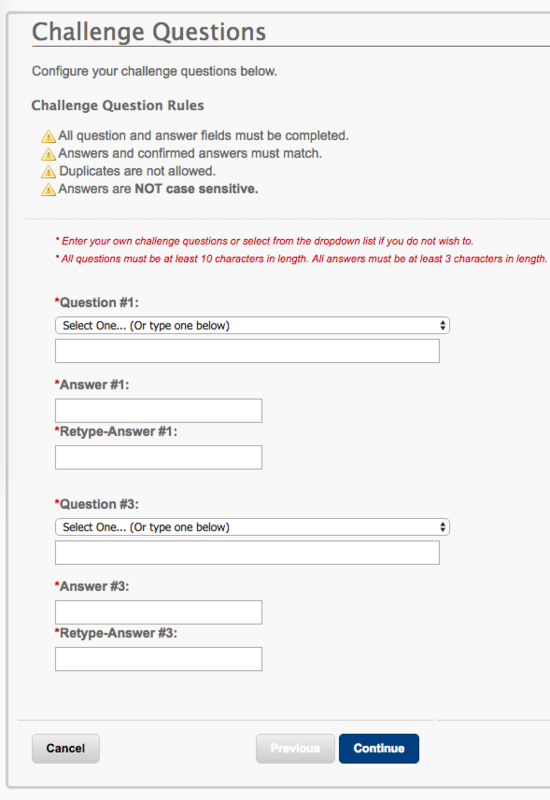 NOTE: You only need to set up one authentication method; however, you are required to set up challenge questions regardless (you'll be prompted). TIP: Use the SKIP button to pass over options you don't want to setup. You can always update your profile later to add or update an option (see fig 6). After setting up your profile, to set/reset your NetID password, go to the Password Reset tile and click the Go to Reset Tool button. Enter your NetID and select your verification method. After verifying your identity, read the password rules and follow the prompts to reset it.